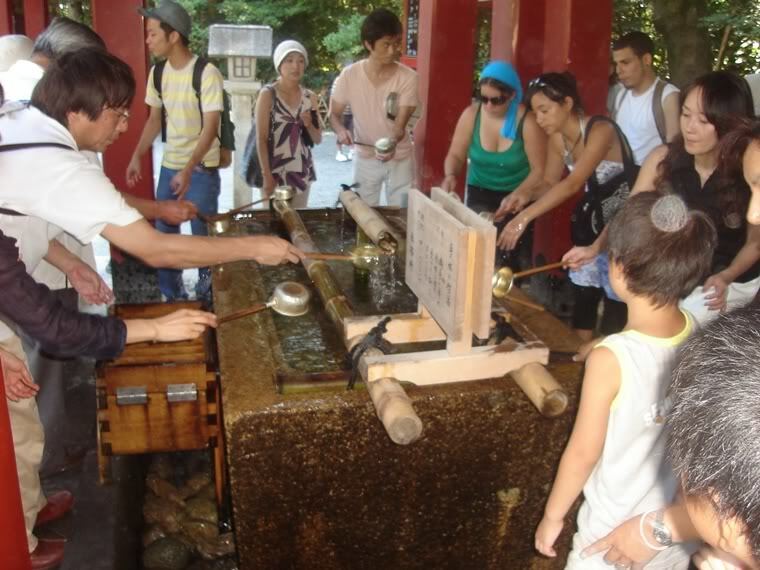 I only live about a half hour by train from Kamakura, which is referred to by some as the Kyoto of Eastern Japan, which is to say there are a lot of splendid temples to be seen there. It being summer vacation and all, I woke up on another beautiful morning yesterday and decided I’d go and check it out. I arrived there around midday. MISTAKE. It was about 33°C with ~80% humidity, so it felt like 40°, and I was melting. Cleverly, I had stopped at Shop99 on the way and bought some face and body refresher towelettes – portable showers, basically – but I could see that they would only provide fleeting relief. As I walked through the Shopping Town, I would hear someone say ‘atsui’ (hot) about every five seconds, so it wasn’t just me with my New Zealand-accustomed body. 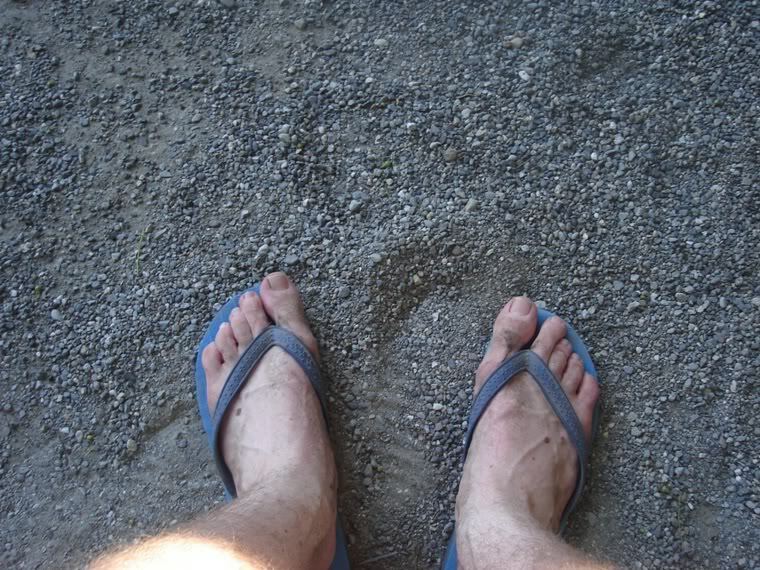 I also arrived wearing $3 jandals from the Warehouse. Again… MISTAKE. When choosing my wardrobe for the excursion, I didn’t really consider the possibility of walking for about 10km on stony roads and steps, but I figured I was stuck with them. In case you’re wondering, Ma, I also forgot to put on sunscreen, and no, I won’t do that again. Although it would’ve been much worse under New Zealand’s cleaner skies. Enough of that, though, because it was a really great day out. I set out from the station amid hordes of holidaymakers, armed with my DK guidebook and a willingness to beat less travelled paths. What most people do is head straight for Hachimangu, which is quite close to the station, but I decided I wanted to get away from the noise and bustle of crowds. 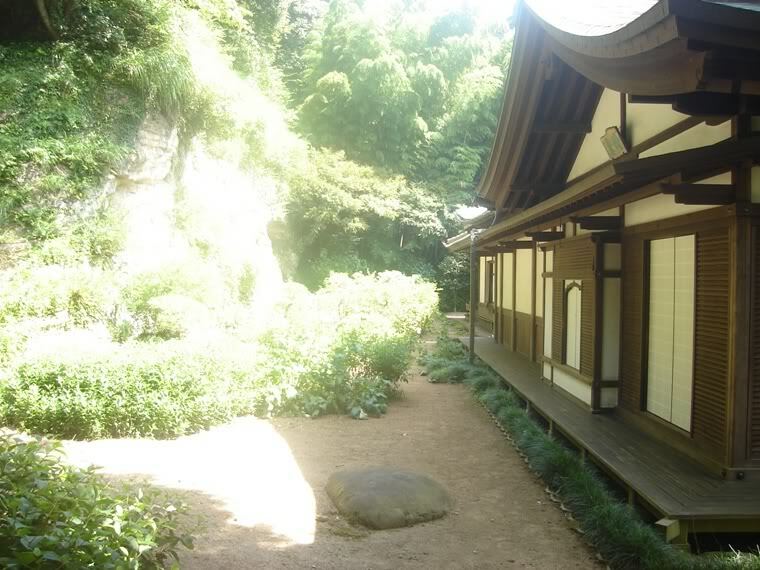 So, when I got near it, I hung a right and struck out in the direction of Zuisen-ji, renowned for its Zen garden. On the way I stopped briefly at Hokai-ji, a small, quiet, rather poorly maintained temple. Not much to see there apart from a poorly concealed corrugated iron shed and a bunch of kids possibly up to no good, so I carried on. If I wanted to escape noise, I was kidding myself, because I was truly in the Land of Enormous, Incredibly Loud Cicadas. It’s not like I haven’t seen or heard them before, but man, not like this. It’s a generally uniform sound though, unlike crowds talking, so it eventually becomes part of the wallpaper. Which makes it better. Right? I mean, it’s more peaceful, more natural. 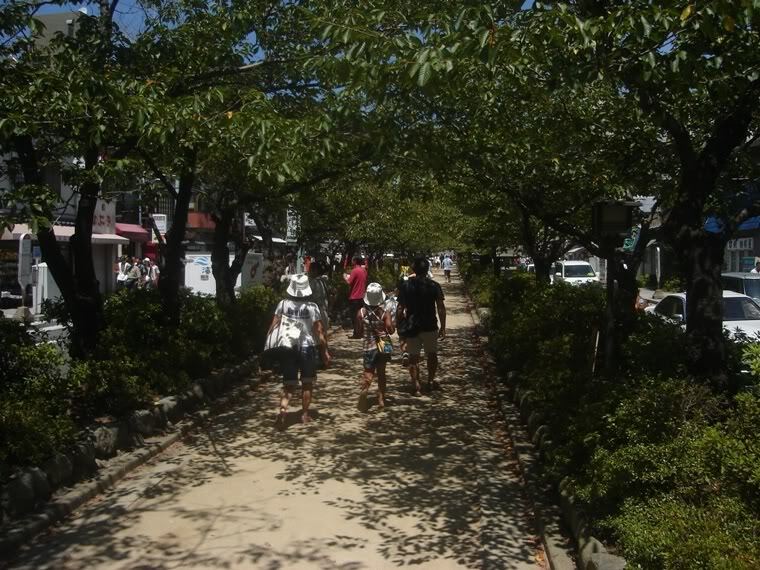 And as I got closer to Zuisen-ji and further away from the main drag, the cars and motorbikes thinned out and the serenity began to take over. Zuisen-ji wasn’t quite what I was expecting. They had the most detailed information leaflet, complete with a detailed explanation of the place and its philosophy and an impressive old-style map which made the water garden seem enormous. However, when I eventually I got there I found it wasn’t any bigger than my apartment. Quiet and peaceful, certainly, but it didn’t seem like there was really a lot of beauty about it. 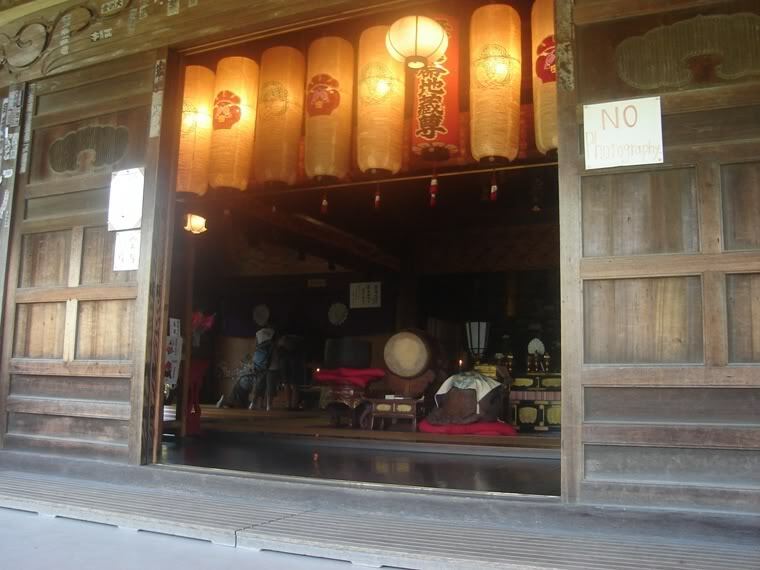 The temple itself was not open to the public, so you could only peer into small sections of it from behind a barrier. The history was all there, but it was almost like it was protected from the prying eyes of visitors. 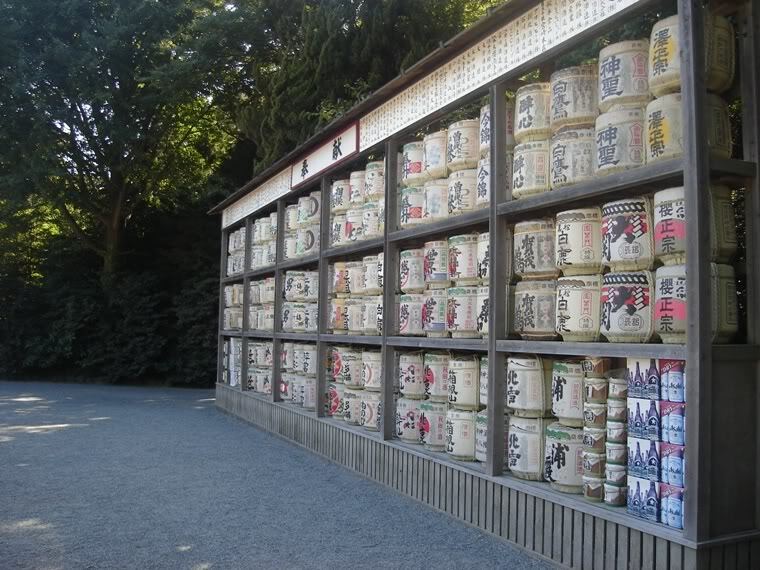 I pressed on to Sugimoto-dera, which was the greatest delight of the day. 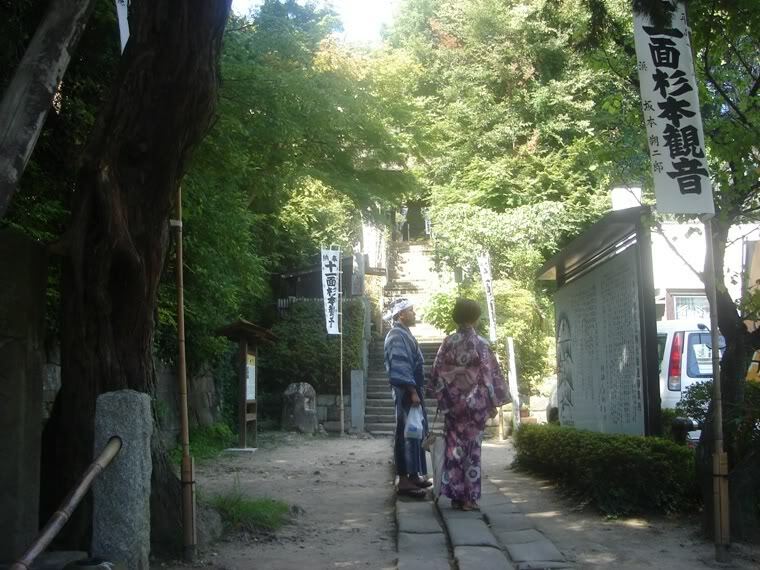 Where Zuisen-ji was prohibitive and unwelcoming, Sugimoto-dera was informal and open. There were places where you obviously weren’t supposed to go, but they didn’t throw up KEEP OFF THE GRASS signs everywhere; instead, they leave it to you to figure it out. The temple itself was compact but impressive. I spent a good ten minutes in there just looking at statues, smelling the incense and enjoying the calm atmosphere. The rewards of this place weren’t spelled out for you, but they weren’t sheltered behind poles of bamboo. Perfect. 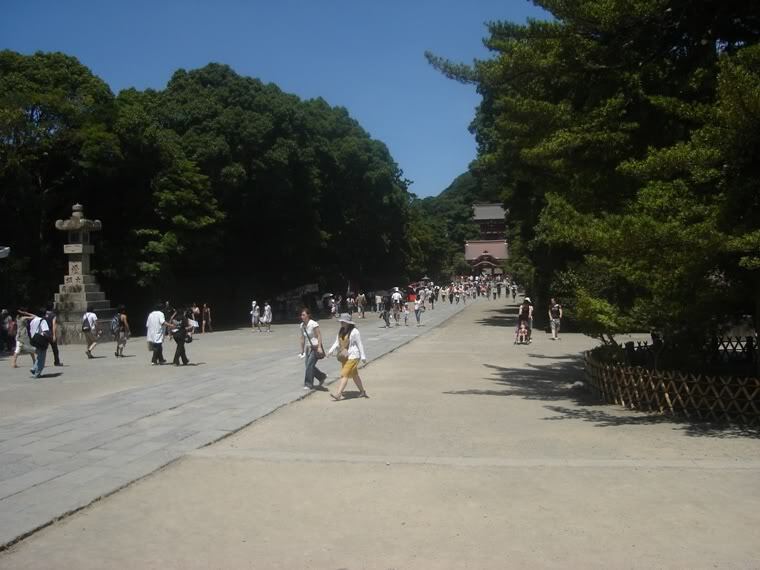 By this time my feet were really bloody sore, so I headed back to Hachimangu to see what all the fuss was about. I must confess, it was a really cool place, and the crowds were actually one of the best things about it. I realised that I was wrong: the sounds of nature aren’t superior to those of humans, they’re just a different type of deal. Here you could revel in the energy and fascination of others and feed off that, not to mention simply being able to watch people do interesting things. Like the pilgrims throwing coins into a shrine and praying briefly, before running off to get their children under control or charf some shaved ice. I wondered, is there more holiness in the lives of these pilgrims than there is in mine (if there is any)? They throw in their coin, put their hands together and bow their heads for a few seconds, and presumably recite what they’ve been taught. To my secular thinking, that doesn’t constitute being holy; it’s just a procedure. But then, some are more diligent than others. One guy took ten minutes to get through it, while another couple was done in fifteen seconds. Just like Christianity I suppose, there are varying levels of diligence, of faith and adherence. My thing is that I came to these places and I greatly admired what they stood for, without actually believing in it. 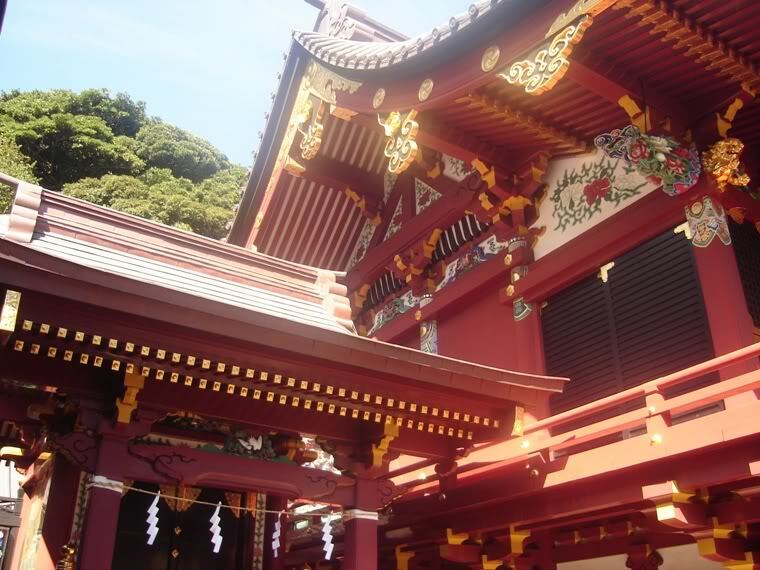 I soaked up the atmosphere and took several moments of pause (especially at Sugimoto-dera) to reflect on why I was here, and none of the reasons were religious. Is my way of thinking less appropriate for these stunning locations than that of those pilgrims? I mean, it’s not going to keep me awake at night, but I just wonder if it really matters. It’s easy to say no, it doesn’t matter at all, and that’s probably what I think, but I’m not going to commit to that without at least considering the idea that I may not be doing it right. After all, those who know me will tell you that I’m not at all an arrogant, elitist, selfish prick. Not in the slightest.